Our Price: $89.95 ( 60% OFF ) *Spring Sale! 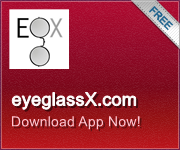 Sunglasses prescription lenses (polycarbonate) light-weight hard-coated lenses. These offer 100% UV protection & are available in various tints. All lenses include free scratch guard, and perfect mounting into your frame. Every job is completed and verified by licensed opticians at our USA lab. Compared to: $189.00 retail. Don't forget anti-reflection (AR) coating treatment...just add to Cart before Check-out. *Note, we can also match lens tints as close as possible by request. **For any mirrored tints, see our mirrored selection. *Note, see TRIVEX Sunglass tinted lenses for premium tinted lenses. **Note, For prescriptions greater than -8.00/+6.00 or cylinder greater than, +/- 2.00 (add-on charges may apply). Recommend hi-index (1.67 or 1.74). ***Gradient tinting may incur added charge. Nice job on the new sunglasses lenses for my Ray Bans! Great job on my ray ban sunglasses. Tint was perfect!